Leona Matuszak is a Visual Artist based in London, specialising in working with individuals, groups and communities to connect and re-connect to their Creativity. How to make a Living, doing what you Love! Would you like to turn a hobby you love into a full-time Living? Or are you an Artist who struggles with Motivation to make and sell your work? Leona is so excited to share with you This Brand New Online Course that she has designed. It’s a practical, step by step beginners guide that will give you all the tools you need to start creating a full time living from doing the thing that you are most passionate about. For 21 days, you will be sent a video every day – along with some journal assignments, or action steps to take, based on the content of the video. The Course includes 21 Videos, 27 Pdfs and 2 Audios. Begin your Journey, Living a life that you Love, today! Would you like to learn How to Mosaic? Leona is teaching 2 Mosaic Art Classes this Spring 2018. 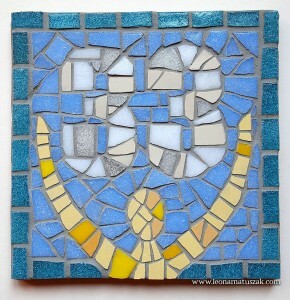 Beginners Mosaic Art on Saturday 24th February where you can make an Artwork, Hotplate or Coasters! 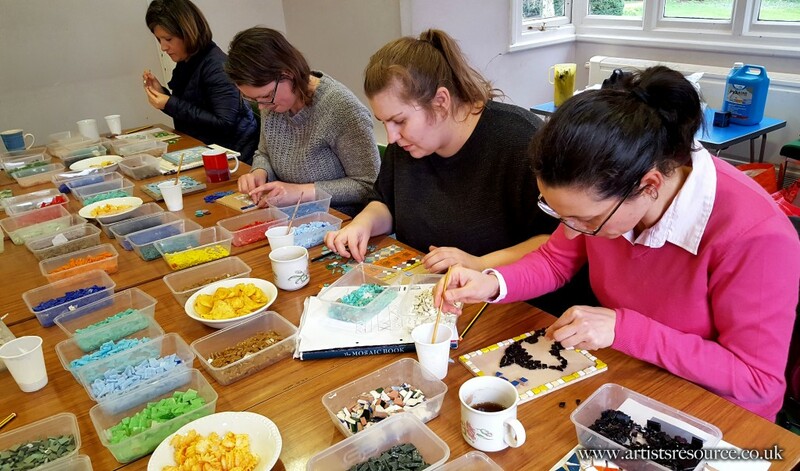 Make a 3D ‘Relief’ Mosaic Artwork for those who have a little experience on Saturday 24th March. Come and make a piece of Art in a supportive environment. Classes held annually, every Spring. Custom Mosaic Signs – Handmade by Leona Matuszak. A series of Mosaic Number Signs, Address Signs and Word Signs are now available in the Shop. Mosaic Signs add flair and uniqueness to your home and require no maintenance. They make wonderful Gifts. Choose from the designs available, or ask about custom design options. Worldwide shipping. 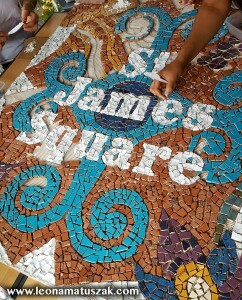 Leona has designed and facilitated the making of a large Mosaic Artwork for St James Square in Muswell Hill. The Artwork both names the square and features elements from the Edwardian buildings in the area (the plasterwork, woodwork and stained glass windows). The Artwork is made of lots of hand cut ceramic tiles that have been kindly donated by Topps Tiles. Around 50 people took part in its creation on 3 event days. The Artwork is now permanently displayed in the Square and was officially unveiled on the 3rd December. 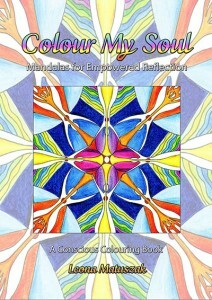 Colour My Soul is a Conscious Colouring book for Adults. It features 31 original hand drawn Mandala Designs by Leona Matuszak. Each Artwork is accompanied by a Meditation and a Declaration which further emphasises each theme. This collection of original Mandalas are intended to be a tool for empowered reflection that aids personal development. Subscribe for Monthly News from Leona!